Have an event and want to do something really different to wow your guests? 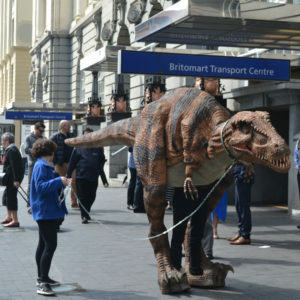 Our life-sized walking dinosaurs will come to your place to make your event truly Roarsome! 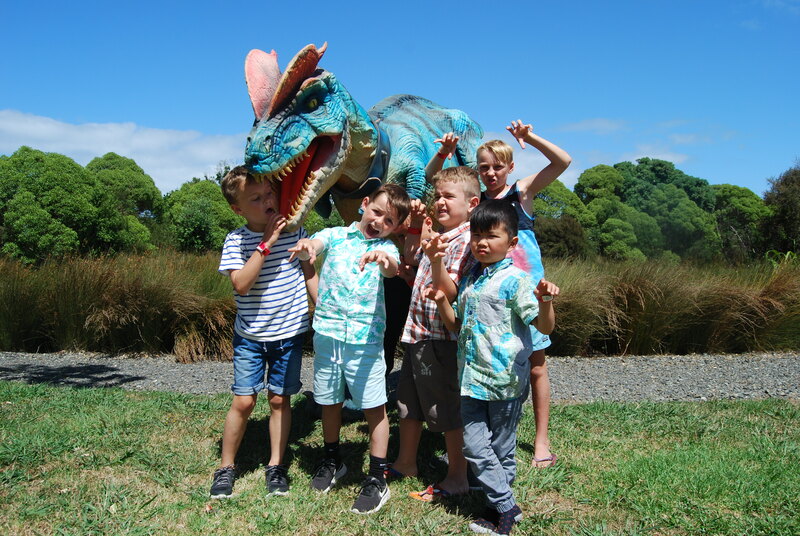 We can provide a fun dinosaur event experience for any occasion, including birthday parties at Butterfly Creek or at your place. You can hire one for your corporate or private events, we will even come to your school fair or festival. 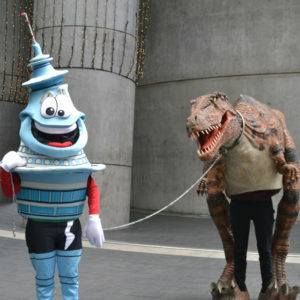 So book a walking dinosaur experience today. 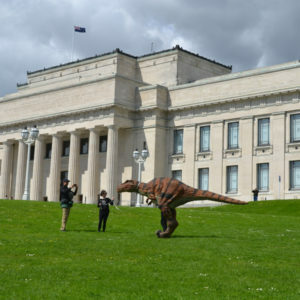 Real life walking dinosaurs that walk… run and jump! At 4 metres long they sound and look real. 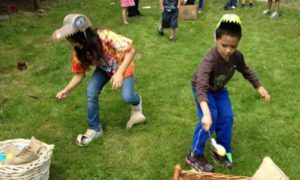 Uniquely crafted dinosaur themed events with life-sized walking dinosaur keeper. Plus dino games and gift options. 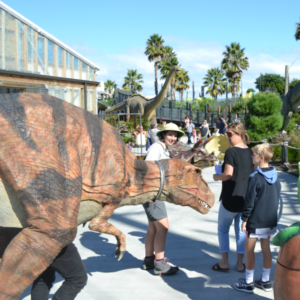 Hassle free dinosaur event experience at your place – or at your Butterfly Creek event. Sit back and relax. 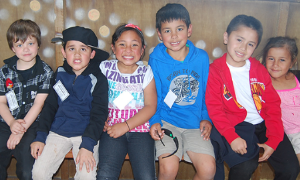 Our dinosaurs love getting out, but we need space to move around. We can come to your party if you have a big yard, deck or garage area. Even better if you have booked a hall or plan to have your event in a park. We cater to most parties, as long as your space is big enough. 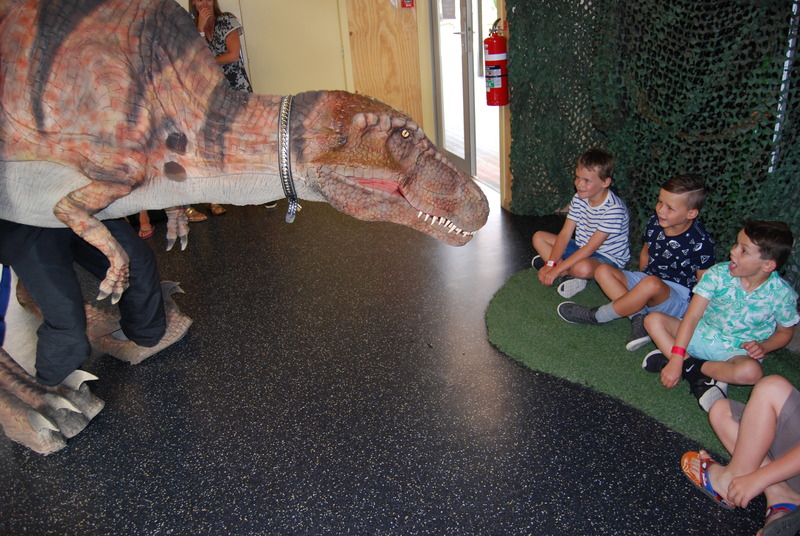 Our dinosaurs range from 2 metres tall by 4 metres long, talk to us to see if you party space is big enough.